Reine, December 05, 2015 in Travel. 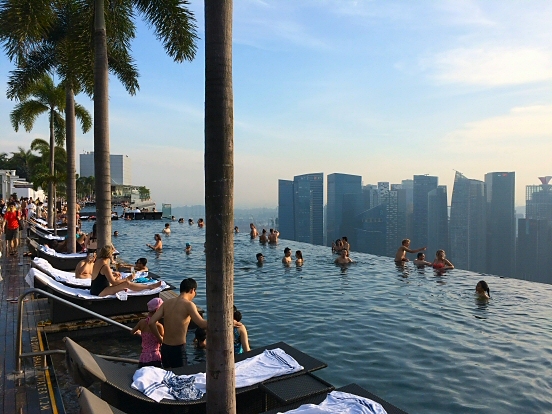 Earlier this year I had the pleasure of staying at the Marina Bay Sands hotel in Singapore. Completed in 2010, it is the world’s most expensive casino featuring 2500 rooms, a mall, a museum, celebrity chef restaurants, ice skating rink and of course the famous infinity pool at the top. Reine, October 24, 2015 in Travel. Wait what? Ålesund who? Even though nowhere near as remote as Tromsö or Svalbard, it still feels like I’ve reached the very end of Norway. Why someone chose to start a town out here in the rugged island semi-archipelago is a mystery to me. Reine, October 17, 2015 in Travel. The streets are alive with the sound of Salzburg, to paraphrase that movie from 1965. The city feels alive and buzzing despite often being reduced to a tourist frame, compared to big brother Vienna. Reine, August 30, 2015 in Travel. So I’m back from another trip to Berlin. This unique city has a kind of deliberate urban decay which I find quite compelling. Reine, July 03, 2015 in Travel. After experiencing the lovely urban chaos of Kuala Lumpur, these islands feels like a daytime dream. Epic palm trees and crystal clear water frames a picture so perfect it feels like it’s rendered by a computer. Every direction I look reminds me of a desktop wallpaper. Reine, June 09, 2015 in Travel books. Rolf Potts is perhaps best known for his classic book “Vagabonding”, detailing how to get ready for long-term travel. But “Marco Polo Didn’t Go There” from 2008 is a fine collection of travel stories with an unusual twist, since each chapter has ending notes which describes the circumstances surrounding that particular story. This is a great concept and feels like the director’s commentary track on DVDs.